Benzamycin is a topical treatment that gives you the benefits of two acne-fighting medications, with percent benzoyl peroxide and 3 percent erythromycin. Used to treat mild to moderate acne vulgaris, Benzamycin is available with a prescription. Benzoyl peroxide and topical antibiotics are both effective acne treatments on their own. When they're combined, you get a powerhouse acne treatment that can be more effective than each ingredient alone. Benzamycin is also available in generic forms. Benzamycin gel is applied topically to all areas affected by acne. It works by killing the Propionibacterium acnes (P. acnes). Benzamycin seems to have the greatest effect on inflammatory acne breakouts, such as papules and pustules. It may take a while before you start noticing improvement of the skin, so don't give up on your medication too quickly. 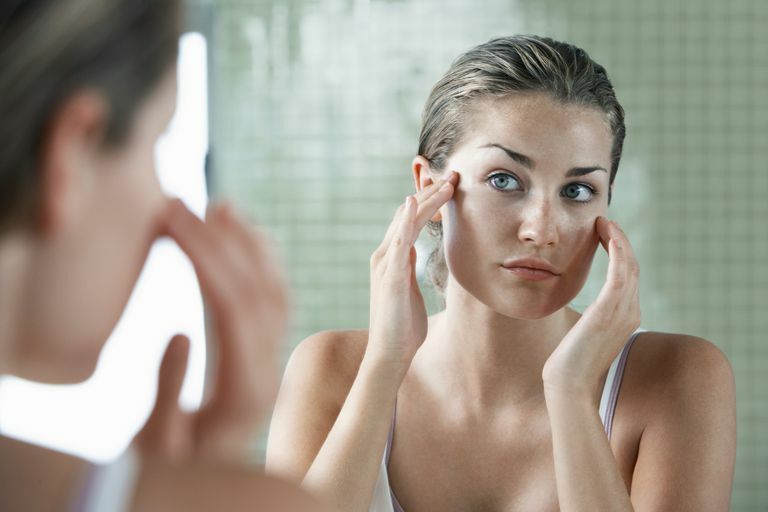 You may find your acne actually gets a bit worse before getting better. Try not to get discouraged if this happens and continue using your medication as directed. Plan on using Benzamycin for several weeks before seeing a noticeable improvement in your skin. Benzamycin is applied to all affected areas twice daily, morning and night. First, cleanse your skin with a gentle cleanser and let the skin dry completely. Carefully smooth a light layer of Benzamycin over the skin. The medication should dry clear. If you end up with a white film on the skin, you've used too much. Try a bit less next time. While applying, stay away from the nose, lips, and eyes. These areas are easily irritated by this medication. Don't use Benzamycin more often than directed, and don't apply more medication than advised. More severe reactions to Benzamycin include swelling of the skin or hives, stomach pain, cramps, diarrhea, and skin or nail fungus. Your doctor will want to know about any side effects you experience, so let him/her know right away. This medication may cause side effects not listed here, so any unpleasant changes should be reported to your doctor. Let your doctor know if you are using any other acne medication, including over-the-counter treatments or medicated skin care products. Your doctor may ask you to stop using these products while you're using Benzamycin. Tell your doctor if you're pregnant, nursing or become pregnant. Benzamycin will bleach hair, clothes, towels, wash clothes, pillowcases, etc. Wash your hands well after applying Benzamycin, and let your medication dry completely before coming in to contact with any fabric. Keep the medication away from the hairline too. Use moisturizer. The daily use of a noncomedogenic or nonacnegenic moisturizer will help combat dryness and flaking, and help keep your skin comfortable. Wear an oil-free sunscreen every day. Benzamycin can cause photosensitivity, so you'll be more sensitive to the sun's rays while using this medication. You'll need to protect your skin from the sun, even if you don't normally sunburn.